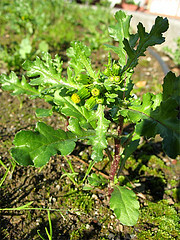 [Added Jan. 23, 2006] This is Senecio vulgaris (Groundsel). Thanks to Seoras64 on flickr for the ID. 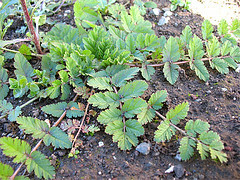 [Added Jan. 23, 2006] This is Erodium cicutarium (Red-stemmed Filaree). Thanks to mschmidt62 on flickr for the ID. Also in the photo is a tiny Anagallis arvensis (Scarlet Pimpernel). I also saw this weed a few days ago on Broadway Street (San Francisco). I really like the texture on its leaves. Anyone know what this is? 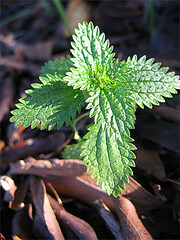 [Added Jan. 23, 2006] This is Urtica dioica (Stinging Nettle). Thanks to urtica on flickr for the ID. This entry was posted in Uncategorized and tagged groundsel, red-stemmed filaree, stinging nettle, weeds. Bookmark the permalink.